It is with the deepest sadness that we, the family, announce the passing of Norma Lysecki at the Cape Breton Regional Hospital on Wednesday, April 11, 2018. Born in Sydney, she was the daughter of the late Norman and Vera (Long) MacKay. A graduate of Sydney Academy, she became a laboratory technician and worked at St. Rita’s Hospital. She moved to Winnipeg and married James Lysecki and they raised their family in Sudbury, Ontario. She was a member of St. Luke’s United Church, and the Cape Breton Club in Sudbury for many years and enjoyed the Cape Breton friends and music. In later years she graduated from Cambrian College as an R.N. and worked at Memorial Hospital until retirement, after which she graduated with a BA degree from Laurentian University in Sudbury. Norma then came home to Cape Breton and her new life in Whitney Pier. Surviving are her daughter, Marlene (Brian) O’Kane, Japan and her son, David Lysecki (Megan MacInnes) of Englishtown; grandchildren, Madeleine, twins Michael and Thomas, Japan; sister, Carol Ann MacKay, Sydney; nephew, Kent, Halifax; niece, Heather (Darrell Sidney), Sydney and their children, D.J. and Brittany. Besides her parents, Norma was predeceased by her husband, James Lysecki; brothers, John Wayne and Norman Wendell MacKay. Special thank you to her Doctor Elinor Lu-Olaco, homecare workers, the VON, Meals on Wheels and all who kept in touch and were there to help her always. 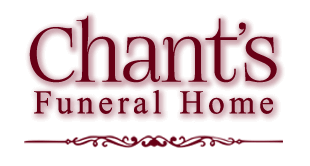 Arrangements are under the direction of Chant’s Funeral Home. A memorial service and burial to take place at a later date.